Did Canada pay Khadr too much, its veterans too little, or a bit of both? Omar Khadr’s settlement at the very least provokes conversation so that veterans do not have to suffer in silence. Maybe, politicians and bureaucrats will likewise comprehensively settle with veterans and their families. 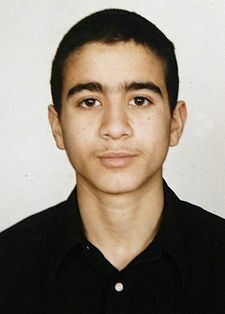 OTTAWA—Fierce and passionate responses surround Omar Khadr’s reported $10.5-million settlement. Some have compared the amount to what Canada begrudgingly gives its soldiers injured and killed in the line of duty. We should listen to them. Although we don’t know the details of Khadr’s settlement, it was likely calculated according to “our system of damages.” Awards for wrongful convictions have used this approach. The trailblazer in the fight for justice for the wrongfully convicted, Donald Marshall Jr., was imprisoned at the age of 17. After 11 years of imprisonment, he continued to suffer the lasting damage from a system of judges, lawyers, police and bureaucrats embedded with racism and incompetence. He would never recover from this miscarriage of justice. He was awarded $1.5-million. Steven Truscott was sentenced to hang at the age of 14. He spent 10 years in jail and almost 50 years with the stigma of a convicted murderer until that conviction was overturned. His award: $6.5-million. The judge advising on the matter acknowledged this amount was comparable to $250,000 per year of incarceration and $100,000 per year of parole. David Milgaard was wrongfully imprisoned at the age of 16 for 23 years wherein he suffered a violent sexual assault amongst other horrific indignities. He received $10-million. For injured veterans, the “system of damages” covers both economic loss like wages as well as non-economic loss such as level of disability and life impairment. Comparing Khadr’s settlement to that of veterans’ has focused upon the maximum of $360,000 for injured veterans. Ten years into the program, only 570 of 60,000 injured veterans received the maximum lump sum for pain and suffering. The average: a mere $44,500 per lump sum awarded with few veterans receiving additional monetary assistance. Injured veterans, if unable to work in their previous capacity, are entitled to lost wages until age 65. A large number of these severely injured veterans are receiving the minimum of $45,000 annually with some supplemental allowances. Whatever the lost wages, the government deducts military pensions, CPP disability and other payments, including any work undertaken to give their life meaning. Courts consider previous lost income, past suffering, previous medical costs, and maltreatment by public officials. Veterans are denied such compassion. Court settlements account for lost potential to receive promotions and the accompanying raises as well as pension benefits to accrue from lost capacity. Veterans receive no such consideration. Their wage loss is calculated at no more than 90 per cent of their last military income (nominally adjusted for inflation) resulting in veterans financially frozen in a lifetime prison of lost human potential. A completely disabled veteran, aged 28, leaving the military as a corporal would collect from all government sources, in 2017 dollars, approximately $4.3-million over the next 52 years. Remember, 95 per cent of this is taxable and reflects an exceptional case of a most severely injured veteran who atypically was treated very well by the system. Very few of Canada’s 90,000 Canadian Forces veterans with lifetime disabilities receive such respect and recognition. As for the remaining 500,000 veterans, they receive no assistance from Veterans Affairs Canada to rejoin civilian life. Court awards are non-taxable. Whatever monies are received or capacity recovered after the settlement does not affect the settlement. Veterans are subjected to yearly scrutiny to prove they still no longer have their legs or, that their minds and spirits are still decimated. Should they try to seek the most modest of employment, any income is deducted, dollar for dollar. There is no incentive to offer meaningful contributions to society. Khadr’s settlement at the very least provokes conversation so that veterans do not have to suffer in silence. Maybe, politicians and bureaucrats will likewise comprehensively settle with veterans and their families. Only then will all those cosmetic words of sacrifice, dignity, and respect for veterans transcend inept figurehead ministers. Maybe then, real action can make veterans and their families somewhat whole again.